A few days after I took delivery of the first bolt of The Great Northern Cloth, I received an invitation to take part in an event, aptly named ‘Made Beautifully Here’; organised by mountain shirt manufacturers McNair at Upper Mills, Slaithwaite, the heartland of the British textile industry, the day was an opportunity to sample locally manufactured products in the setting of the stunningly beautiful historic mill, only 10 miles from where the cloth was woven. Meeting locals, many of whom had worked in the wool processing industry in the past, and some who still are, I was treated to anecdotes from when the area was abuzz with the racket of spinning frames and weaving looms. There was a sense of expertise, of knowing what they were talking about when they scrutinised the cloth – and nerves at my end. Everyone had to feel the cloth, to appreciate it with their own, knowing hands and there were comments that went down very well with me. Textile manufacturing, wool processing in particular – scouring, spinning and weaving – was the beating economic heart of the Northern communities. West Yorkshire, the epicentre of the wool industry, has the hills and the water that used to power the thousands of looms housed in numerous mills scattered around the landscape. The same hills were also home to the sheep that supplied the raw material for the world renowned cloth the mills were producing, and exporting around the globe. But today, most British sheep are kept for their meat only, and their coarse wool only fetches a pittance, sometimes not even enough to cover the cost of the shearing. What changed? Modern work environments don’t require us to wrap up warm but to look smart, so the trend for the last 30 years has been to ever lighter cloth. The Northern mills are world leading in textile development and have created the most exquisite light weight cloths – but the raw material producers for the super fine wool needed – Merino sheep – were no longer kept on British farms: although a native European breed, they had been taken to graze the vast pastures of Australia and New Zealand 200 years previously. It all made perfect sense as sustainability wasn’t a concern then. The wool was shipped around the globe, and – crucially – some of the processing started to be carried out ‘on the way’; scouring, dyeing and spinning were no longer carried out in the long established mills of the North, but in low labour cost countries instead – the beginning of globalisation. Importing wool not only hurts our British farmers, but also wide parts of the textile industry: the last worsted spinner stopped operating in Britain only last year. We are lucky to still have some of best woollen mills in the world – let’s start by shining a light on their amazing work. Next, let’s think about bringing the raw material producers home. 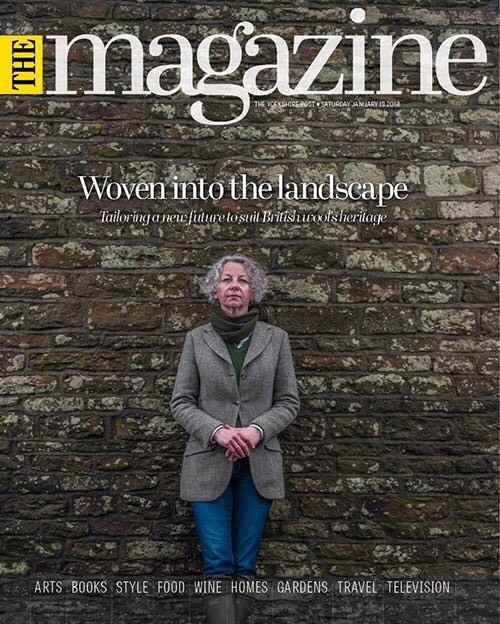 I am thrilled that the Yorkshire Post has picked up the story of The Great Northern Cloth for this weekend’s magazine.